Kate Eberlen, author of Miss You, shares her favourite memories of eating ice-cream in her 'Desert Island Scoops'. Kate Eberlen, self-confessed ice-cream lover and author of Miss You, shares her desert island scoops. I love ice cream, but I don’t really have a favourite flavour. My choice instead depends on so many factors – where I am, what I’ve eaten, what the weather is like, what’s on offer on the day. There’s nothing more refreshing than a fruit sorbet or granita on a scorching summer day; nothing more indulgent than dark chocolate or salted caramel (even better both together!) when I need a treat. Buttery-yellow Cornish from an ice cream van on a windswept beach on childhood holidays in Cornwall. My first-ever taste of Haagen Dazs Pralines & Cream walking along the promenade in Brooklyn Heights, NYC, on a summer night when it was too hot to sleep. A cup of watermelon granita after eating a searingly hot, salty, takeaway pizza sitting on the harbour wall of Otranto, Puglia. Garden sage and raspberry gelato while sheltering from a thunderstorm at Gelateria del Teatro, Rome, then, as it was still raining, trying the zabaglione. Green grape sorbet in SoHo New York, on New Year’s Eve. Pistachio and fresh fig gelato from a tiny artisan shop just off the main square in Ostuni in the exciting moments before the start of the saint’s day procession. Cherry and dark chocolate at the gloriously old-fashioned Giolitti on my last night in Rome just recently after spending the winter in that amazing city. Tess and Gus, the central characters in my novel Miss You, share my passion for ice cream. They visit the Gelateria dei Neri in Florence, which happens to be where my son had his first taste of real Italian gelato. There are other wonderful places for ice cream in Florence, such as Vivoli, but Gelateria dei Neri is my favourite for fruit flavours. One of the best things about being a writer is taking yourself to the places you have been happy, seeing beautiful views through your characters’ eyes, tasting delicious foods again, without ever moving from your desk. 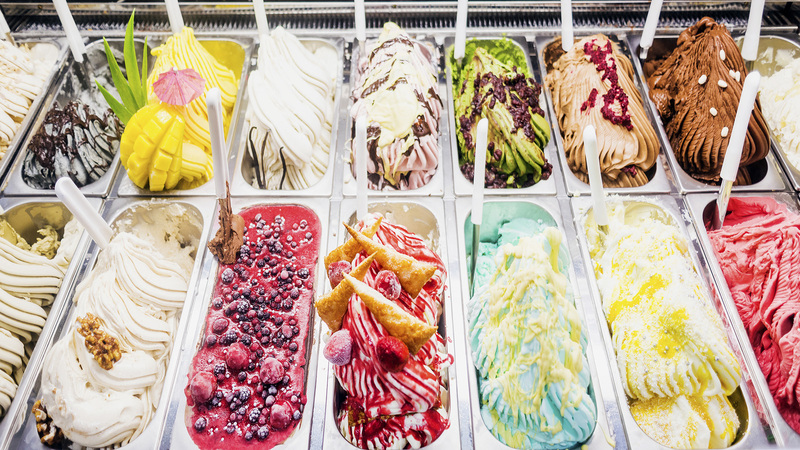 These days, if I fancy a real, rather than an imaginary, ice cream experience, I'm lucky that there are many inspired ice cream makers in the UK creating delicious flavours from natural ingredients to rival the best in Italy. 'Today is the first day of the rest of your life' is the motto on a plate in the kitchen at home, and Tess can’t get it out of her head, even though she’s in Florence for a final, idyllic holiday before university. Gus and his parents are also on holiday in Florence – and, for one day, the paths of these two eighteen-year-olds will criss-cross before they each return to England. Over the course of the next sixteen years, life and love will offer them very different challenges. Separated by distance and chance, there’s no way the two of them are ever going to meet each other properly . . . or is there?